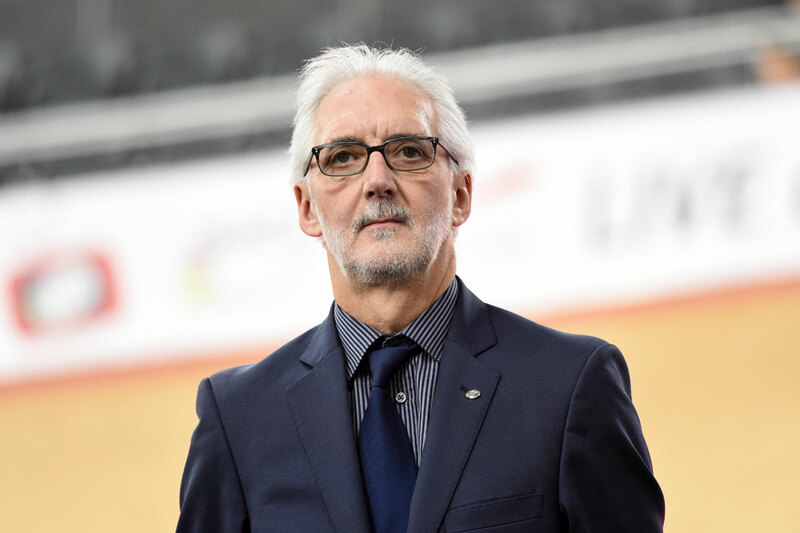 UCI president Brian Cookson showed little mercy for Sky’s Richie Porte. The Australian received a hefty two-minute penalty on Tuesday for receiving a wheel from rival team Orica-GreenEdge while the Giro d’Italia sped into Forlì. 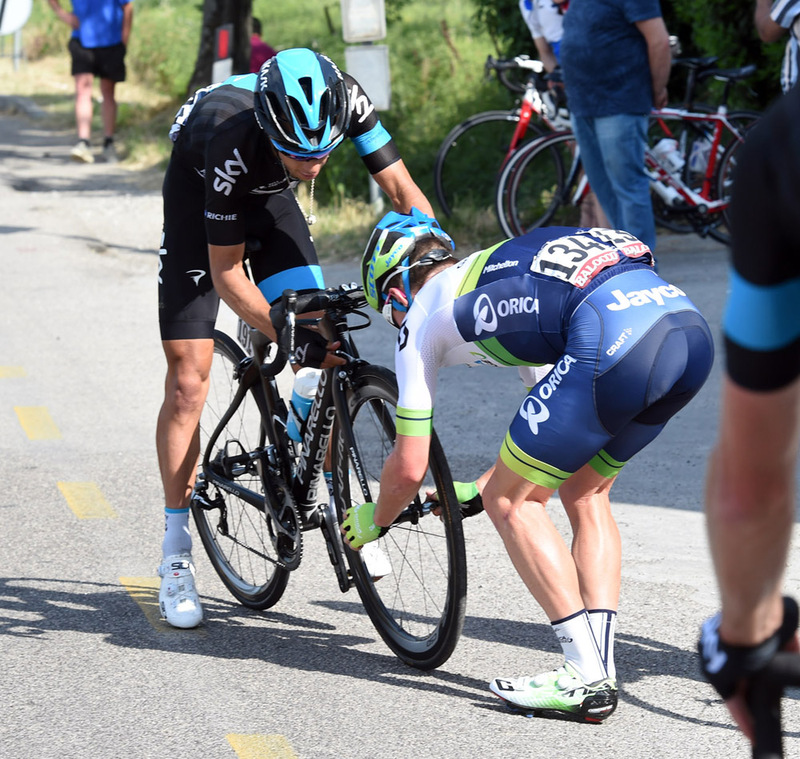 Porte slipped from third overall at 22 seconds to 12th at 3-09 minutes as a result of the stage 10 incident. He lost 47 seconds to leader Alberto Contador, but that grew to 2-47 when the UCI jury applied a rule that prohibits help from a rival team. In this case, Australian Simon Clarke (Orica) stopped to put his front wheel in Porte’s bike while Porte waited for his team-mates at seven kilometres to race. “It was an unfortunate incident for everyone, but the rule is there, it’s clear, it’s not a new rule,” Cookson told Cycling Weekly. The four-man jury based its decision on UCI rule 12.1.040 / 8.2, “Non-regulation assistance to a rider of another team”. It penalised both Porte and Clarke two minutes in the overall classification and fined them 200 Swiss Francs each. Critics argue the jury gave Porte the death penalty and ignored the fair play gesture of Clarke. Though much can change in the upcoming week before the Giro finishes in Milan on May 31, the decision essentially turned a three-man Giro battle into a two-man battle between Contador and Fabio Aru (Astana). “The simple fact is the race conduct is in the hands of the jury. It’d be anarchy if the UCI overruled from time to time the decision of the jury. We don’t do that,” Cookson said. Television images often show riders pacing themselves back to the group via the team cars, ‘sticky bottles’ or ‘magic spanners’. Many yesterday pointed to Contador taking off his helmet mid-race to change his cap underneath and said that that required an automatic disqualification based on rule 12.1.040 / 3.3. Clarke said that he had acted on instinct. “That certainly wasn’t my intention [to have Porte penalised]. I was just trying to help a mate,” Clarke said.